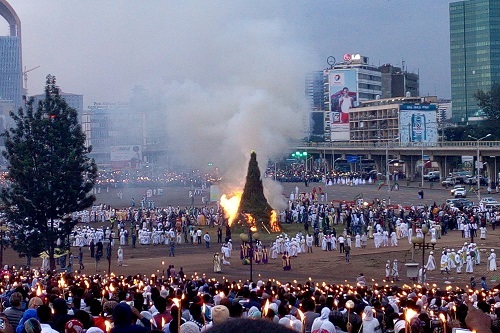 ADDIS ABABA—The first Meskel celebration, after the reunification of the two synods—based in Ethiopia and Washington, was celebrated colourfully at Mesqel Square here recently. At the event, His Holiness Abune Mathias, the Patriarch of the Ethiopian Orthodox Tewahedo Church and Archbishop of Axum and Ichege of the See of Saint Taklehaimanot, passed his benediction to the faithful. 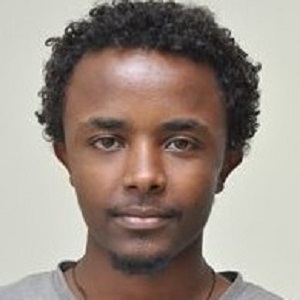 The Patriarch said that is a religious holiday of the Ethiopian Orthodox Church that commemorates the finding of the true cross by Empress Elenna back in the fourth century. This year’s celebration witnessed the reunification of the two synods as one with the blessing and willing of almighty God. This is something that Jesus Christ taught us about forgiveness to all humanity. The faithful on its part should draw lessons from the forgiveness of Jesus Christ to all humankind, the Patriarch added. His Holiness also said that “the essence of Meskel celebration is strengthening unity, love and forgiveness as it is crucial to ensure lasting peace to all humanity. Demera (bonfire) symbolises unity and togetherness,” thus, while celebrating Meskel, all Ethiopians should strive to ensure peace, unity and development across the country. In this regard, strengthening and keeping unity is the only guarantee to bring peace and ensure sustainable development. Furthermore, City Deputy Mayor Eng. Takele Umma on his part conveyed a message saying Meskel is one of the world’s intangible heritages which is a symbol of unity, peace and forgiveness. All these values are key instruments to preserve diversity within unity. The deputy mayor as well noted that racist acts and parochialism are the challenges for the realization of prosperity in the country. Thus, the people should advocate synergy and love standing together. Otherwise, conflict, displacement and instability will continuue to be as hindrances for the development journey of the country. This kind of rich values should be protected and passed down to posterity. Meskel can be used to build the image of the country attracting tourists. Moreover, Sunday school choirs, drawn from various churches of the city, staged religious songs and performing arts. The celebration was graced with the presence of FDRE President Dr Mulatu Teshome, distinguished guests, elders, ambassadors and core diplomats, religious fathers, among others.